In recent years school districts in New Jersey have had to cope with flat state aid, the 2 percent tax levy cap and the resulting ever-tighter budgets. Many have had to withdraw support for innovative and important school programs or projects. Some districts have been able to rely on a local education foundation to step in and provide funding for things like enrichment activities, special equipment, outside programs and training programs for teachers that would not otherwise fit into a district’s budget. These independent non-profits raise money and typically work with the district’s superintendent and other administrators to decide how to award grants in their districts. 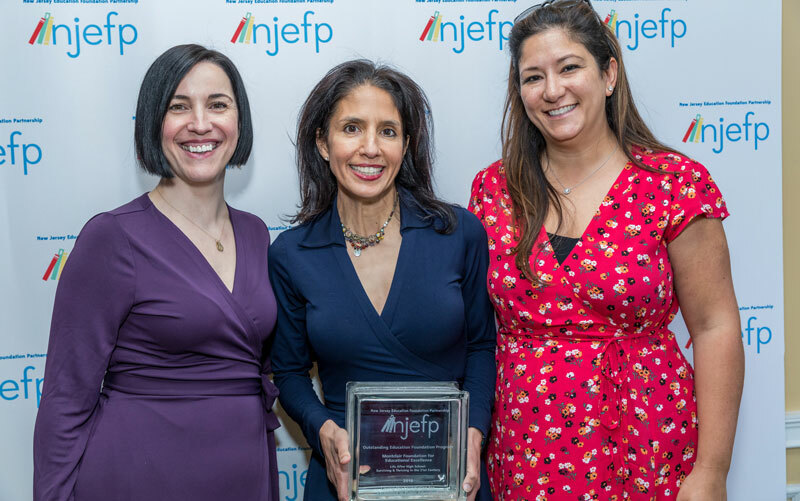 The New Jersey Education Foundation Partnership (NJEFP), which was founded in 2007 to facilitate the development and effectiveness of school district education foundations, held its Inaugural Awards Luncheon on Friday, April 20 in Ewing. At this event NJEFP not only recognized five individual foundations, but also celebrated the dedication and impact of education foundations statewide. The Awards Event was announced in fall 2017 with the deadline for submissions in early January 2018. Some 49 applications were received from 29 different foundations. 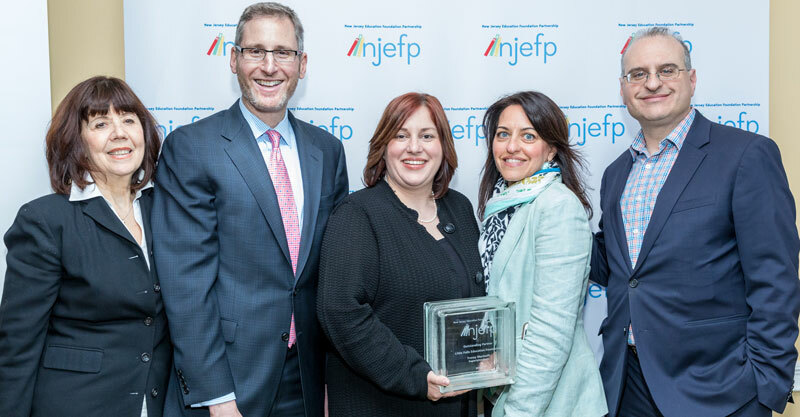 The award-winning education foundations were selected by a committee of judges comprised of NJEFP partners who are also national and state leaders in the education foundation community. The judges included Trudy Doyle, immediate past president, NJEFP and retired Somerset Executive County Superintendent; Shawn Gillon, CPA, Withum Smith+Brown, and treasurer, NJEFP; Robin Callahan, executive director, National School Foundation Association; Bill Hoffman, immediate past president, National School Foundation Association; Mary Chance, president, Consortium of Florida Education Foundations; and Rita Nini, manager, community relations, Educational Testing Service. The following education foundations were honored by the New Jersey Education Foundation Partnership for their achievements. The Summit Educational Foundation (SEF) was presented the award for Outstanding Education Foundation. This award is given to the New Jersey education foundation that has made a significant impact on its school district in terms of financial support, community outreach and involvement, district initiatives and/or student impact. SEF is a volunteer organization with 21 board members and more than 80 community volunteers who serve on nine committees. Since its inception in 1986, SEF has raised and donated over $6.5 million to the Summit school district, including $3 million over the past five years. In 2008 the group established an endowment fund to secure funding for long-term initiatives. The foundation grants have aided the Summit school district with virtually every goal and initiative they have identified in recent years. The judging panel selected SEF for the following reasons. The organization has a strong infrastructure with dedicated volunteers at the board and committee level. Over its 32-year history, the Summit foundation has demonstrated consistent growth. They have funded both large- and small-scale projects. While meeting the direct needs, they push the envelope for what a foundation funds, demonstrating big-picture thinking. The SEF’s 2018 spring grant cycle approved 44 grants, totaling more than $285,000. Projects funded included items such as teacher training programs, including restorative practices training for high school teachers; a “Battle of the Books” reading motivation program for fourth- and fifth-grade students; a two-week summer program to prepare at-risk students in grades two through five for the upcoming year; a peer leadership program for high-school students, electric string instruments for the high school; rotation and force sensors for the AP Physics classes; mobile and flexible seating for special education students; and access for middle school students with learning disabilities and visual impairments to the Learning Ally collection of books and audiobooks. Funding for the Summit Educational Foundation comes from its annual fund to which over 700 Summit families donate each year. Additionally, they host a “Spring for Excellence” fundraiser which is a communitywide event highlighting grants in action, bringing the community together in a social setting. The event consistently raises more than $100,000. Montclair Fund for Educational Excellence (MFEE)The award for Outstanding Education Foundation Program was presented to a foundation program that is funded or run by the education foundation in its district and demonstrates significant impact on students. 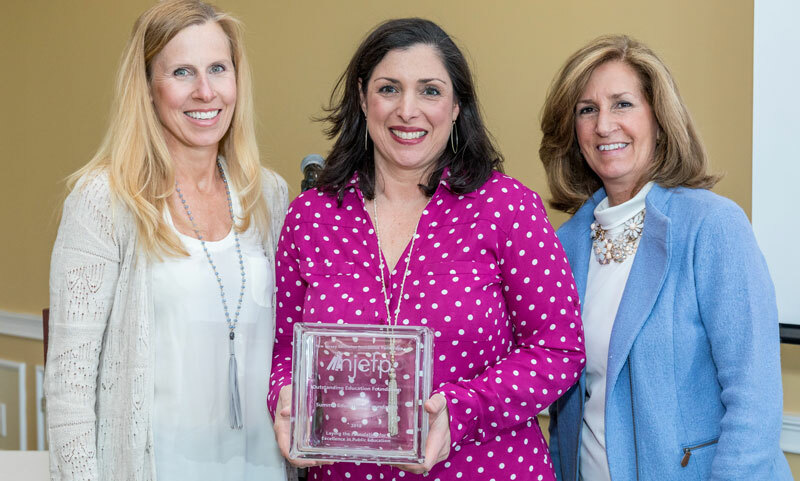 The award was presented to the Montclair Fund for Educational Excellence (MFEE) in recognition of its “Life After High School: Surviving and Thriving in the 21st Century” program. This program is a mini-conference created to give teens and their parents or guardians tools and inspiration for life after high school. The program goal is to provide something more holistic than a career fair and to help students gain the confidence to try new things, take risks and build support networks. The MFEE aimed to support teens’ social and emotional readiness to launch into adulthood and validate the broad skills that many young people possess but may not be sufficiently valued in school. The MFEE partnered with several other non-profit organizations serving teens in order to identify leaders to shape the event. The conference created a powerful collaborative spirit between MFEE and a diverse group of partners. It is another example of an education foundation engaging community partners for the betterment of the students. To ensure that all students would have access to the conference, MFEE provided transportation, food and did not charge a fee for the event. This removed any obstacles for participation. An astounding 250 students, grades eight through 12, and their caregivers attended. The MFEE demonstrated the direct impact a foundation can have on students, and the potential for foundations to offer programs that go beyond the schoolhouse door to meet a specific need in the district. Morris Educational Foundation (MEF) The award for Outstanding Achievement in Fundraising was awarded to the Morris Educational Foundation (MEF) in recognition of its “Morristown Onstage” event which showcases the best amateur talent in the area. The award was given for an event or campaign that engages the community at large and raises significant funds for a school district. Twelve years ago, the MEF board of trustees wanted to start a special event that would not only raise money for the MEF, but also raise awareness of its mission to fund programs that would support and facilitate educational excellence in their schools. They created a talent show. The only condition was that someone in the talent group had to live, work or go to school in Morristown, Morris Township and Morris Plains – the communities served by their district. Auditions were also open to Morristown High School alumni. The show has become the premier fundraising event for the MEF, selling out for the last two years. In the first year it raised $16,000 with 50 acts auditioning. In February of 2018 the event raised $143,000. This event is entirely volunteer-driven. Upon review of this program the judges felt that the MEF was the epitome of a foundation that has become a valued and recognized community organization that exists for the enhancement and enrichment of the Morris public schools. Barry Tobias The award for Outstanding Partner: Funder was open to a corporation, philanthropist or foundation that has given significant funding to an education foundation. The award was given to Barry Tobias, retired chief financial officer of the Peter J. Sharpe Foundation. Tobias was nominated by the Freehold Borough Educational Foundation (FBEF). Through an article published in their local newspaper, Tobias learned about the work of the FBEF. He learned that Freehold Borough, though struggling financially, had an education foundation that made a big impact with limited resources. He did not live in Freehold Borough, nor did he have any ties to the community. But he had been supporting the education foundation in his neighboring town, Manalapan Township. He reached out to the FBEF offering support, and thus began a long relationship. Tobias became not only a generous supporter of the FBEF, but a mentor as well. He provided challenge grants and restricted gifts to ensure continuity. What sets Tobias apart as a funder is that he connected to the community and participated beyond writing a check. It is because of his commitment to the belief that all children – despite their circumstances or zip code – deserve the resources to reach their educational potential that the FBEF moved beyond underwriting mini-grants and began to institute many of its programs. Not only were funds provided from the Peter J. Sharp Foundation but Barry Tobias and his wife made donations from their own funds, and connected FBEF to other funders. Tobias has continued his collaboration with the foundation and the school district, though the Sharp Foundation has closed. He has demonstrated the ideal characteristics of a true partner and a true advocate and a friend of public education. Tracey Marinelli The recipient of the award for Outstanding Partner: Superintendent was Tracey Marinelli, superintendent of Little Falls Township School District. Marinelli began her career in Little Falls in July 2015, shortly after the foundation was founded. Little Falls is a K-8 district with three schools and approximately 900 students. She reached out the education foundation shortly after taking on the role of superintendent, and quickly became a dynamic and invaluable partner. She not only helps to get the word out about the biggest foundation fundraiser, but she donates her time. She encourages her teachers and administrators to participate, setting a great example for the staff on the importance of supporting the foundation. She has added a foundation report to the monthly board of education meeting agendas. This addition to the agenda ensures that the board is fully informed of the important work being done by the foundation and illustrates to the board and the community the value she places on the foundation. The most significant factor for the advancement and success of the foundation stems from Marinelli’s collaboration and partnership with the foundation. In this capacity she has ensured that the work of the foundation directly benefits the students and teachers in her school district, and that all members of the educational community are on the same page, working towards common goals. There are many foundations in New Jersey that are doing good work and deserving of support and recognition. At NJEFP we want to share these stories as the demonstrate best practices. An education foundation will have its greatest impact when it continually collaborates with the district, and the needs of each partner are understood by the other. A foundation can be more than a checkbook for your district with big picture thinking and shared goals. It is the hope of NJEFP that by shining a spotlight on these foundations we not only celebrate them but celebrate and acknowledge the hard work and serious contributions that all foundations are making to public education is New Jersey. For more information, visit the NJEFP’s website. Megan Dzwonkowski is executive director of the New Jersey Education Foundation Partnership.